¡Llegaron las Fiestas de la Calle San Sebastián! 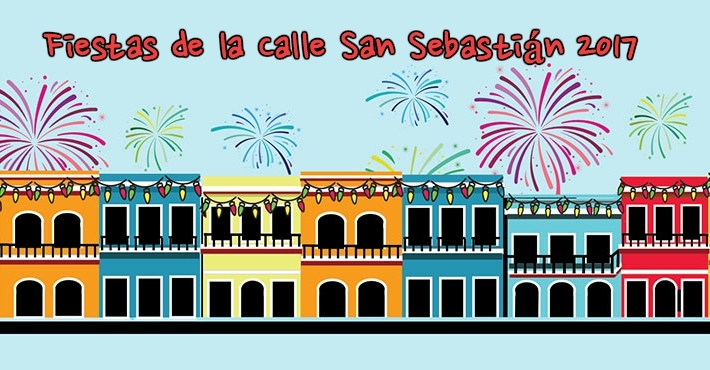 Llegó el nuevo año, y con el llegan las Fiestas de la Calle San Sebastián. Este año, Radio San Juan te trae una cobertura como jamás se ha realizado, con música en directo desde las 4 tarimas durante todo el fin de semana, además de entrevistas con los artistas, artesanos, y todas las personas que hacen de estas fiestas las mejores del mundo. Desde el jueves 19 al domingo 22 de enero, escucha Radio San Juan para que disfrutes de los sonidos de tus fiestas. A continuación, el itinerario artístico del fin de semana. I really would like to attempt look at your blog one day before! they just make people go and i kind of want to have that power, once again, amazing stuff! It is very useful information.Thanks for sharing here. I am glad to see this blog .I just appreciate you for that kind of effort. Thanks and keep posting some.Amazing article. I am so impressed. I think you have a great knowledge especially while dealings with such subjects.Education contain different task like essay, assignment, research paper writing and many of the students cannot complete their task successfully within the time. Feel free to surf essayacademia.com/faq.php .